A. FDA and USDA compliant – making them safe for use with food and agricultural products. B. Made of corrosion-resistant low density polyethylene – keeping them durable and rust-free during use. D. UV resistant – perfect for outdoor storing as well as indoor. E. Translucent color – easy viewing of products. F. VTS series has flat bottom for easy mounting. The tanks are designed seamless with ¼” thick wall and NPS bulkhead fitting for discharge. They have 7” diameter cap and fit on 48”x48” pallet. With sizes varying from 80 gallon to 500 gallon, you have rich choices in regards to deciding which storage tank you should take. 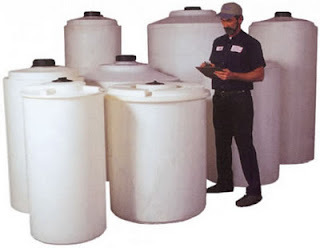 Let’s go through the complete list of these versatile storage tanks.